The Balochistan High Court on Wednesday rejected the medical report of former president General Pervez Musharraf during the hearing of Nawab Akbar Bugti’s murder case. Jamil Bugti, the son of Nawab Akbar Bugti, had challenged the acquittal of former president in his father’s murder from an anti-terrorist court in Quetta earlier this year in BHC. During the hearing, the divisional bench of BHC comprising Justice Jamal Mandokhail and Justice Muhammad Hashim Kakar rejected the medical report presented by Musharraf’s lawyer. “Nobody is above the law,” Justice Jamal Mandokhail remarked during the hearing. 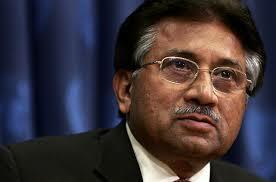 The court also directed Musharraf’s lawyer to convince his client to appear before the court. Musharraf’s lawyer pleaded that the medical board does not allow his client to travel. Jamil Akbar Bugti, had earlier nominated Gen Musharraf, Aziz, Ghani, former chief minister the late Jam Mohammad Yousuf, former interior minister Aftab Sherpao, former home minister Mir Mohammad Shoaib Nausherwani and Mr Lasi in the FIR registered at the Dera Bugti police station.